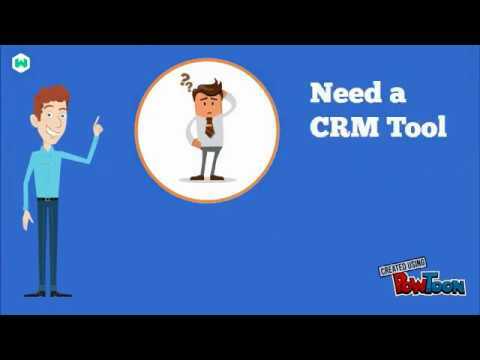 Wakeupsales CRM is an all-in-one Customer Relationship Management tool to streamline your sales activities, improve your productivity & create powerful customer relationships. In other words, Wakeupsales helps sales folks save time & become more effective by taking care of every-day problems like unorganized database, overlapping assignments, multiple tool handling, manual management of contacts, jumbled up spreadsheets, poor relationships with customers, lesser business visibility or even sales funnel leakage. Available on cloud, on-premises, open source & android platforms... Wakeupsales CRM has really made lives easier for people from more than 30 countries. Wakeupsales Cloud is the most popular platform with on boarding that takes less than a minute. Just signup & you're good to go. More so, every signup comes with a 30days free trial that gives you access to our premium features (more on that below) & everything else that our PRO plan has to offer. Once you're through with the trial, you get to choose between a free-forever plan or our powerful PRO plan which literally brings out the best in the CRM. The on-premises version of Wakeupsales CRM lets our users setup the CRM application on their servers, so that your data remains totally with you. It comes with all the premium features & 1year of premium support from us (subject to renewal beyond that period). The biggest advantage of the on-premises edition is that it can be completely customized to suit your exact requirements. Wakeupsales android app brings all the important features from the cloud edition to your mobile phone. Whereas, the open source version of Wakeupsales is a basic CRM bundle... completely free for download & can be used forever. WakeUpSales helped me to automate my website visitors and insert directly as a lead to the WakeUpSales. It's a sales tool for entrepreneurs, startups, and small teams. It visualizes one's sales pipeline and helps to make sure important conversations and activities don't get dropped with email follow-ups, automated. I liked it because it is easy to use and opensource. The CRM is great at forecasting agreements, and its integrations with other software such as Google Apps, MailChimp, and Zapier - makes it more likable. Thanks a lot for appreciating Wakeupsales. We are working every single day to make it even better. Keep using Wakeupsales and let us know your experiences or feedback if any. Wish you a great new year ahead. WakeUPSales really Save Time, Faster Close More Deals, Smart & user friendly Organise Your Prospects, with Smart Sales Pipeline. Just started using this not found any . The UI is great you can manage multiple items on a dashboard. The way it generates the invoice is remarkable. Funnel and reports are also well designed. lead listing is also well desiffned. Mail integration is only happening with GMail. We want to see more. My organization, we are using office 365 so mail integration is not happening needs to add more email gateway support. Pro Plan: $9/month or $108/year. Enterprise Plan: contact Wakeupsales for pricing. Goals can be created and assigned to different team members, with support for four distinct goal types, automated email notifications, real-time progress tracking, and more. Opportunities can be converted into projects, allowing users to manage all tasks specific to that lead or opportunity, with an at-a-glance view of information through the projects board view. Integration with Gmail allows users to send emails through the Wakeupsales dashboard, and provides access to emails associated with each lead or opportunity. Custom HTML forms can be used to generate leads from websites, with leads generated automatically in Wakeupsales when a website visitor submits the form. All leads can be viewed in a visual sales pipeline, with the ability to drag-and-drop leads between the different pipeline stages. Below are some frequently asked questions for Wakeupsales. Q. What type of pricing plans does Wakeupsales offer? Q. Who are the typical users of Wakeupsales? Q. What languages does Wakeupsales support? Q. Does Wakeupsales support mobile devices? Q. Does Wakeupsales offer an API? No, Wakeupsales does not have an API available. Q. What other apps does Wakeupsales integrate with? Q. What level of support does Wakeupsales offer?